Section 42 of the Queensland Building and Construction Commission Act 1991 (QBCC Act) provides that it is offence (and you will not be paid “any monetary or other consideration”) to carry out “building work” (as defined) without the appropriate licence. His Honour held that the Road, the Culvert, and the Ag Pipe, all fell within the ambit of “building work” as they were all fixed structures, consistent with past authority on similar categories of work. the contraction could not proceed to adjudication. . The QBSA has since been superseded by the QBCC Act, and the definition of “building work” is now subject to additional exclusions in the QBCC Regulation, excluding various categories of work from being “building work”, however the same ramifications still apply. Is civil work building work? whether the Civil Work was excluded as “building works” under the QBSA Regulation. Examples of a fixed structure include a fence other than a temporary fence, a water tank connected to the stormwater system for a building and an in-ground swimming pool or an above-ground pool fixed to the ground”. The QBSA Act defined a “building’ to include any “fixed structure”. … When constructed and attached to the ground so as to be regarded in law as “fixed”, ought not be regarded as “fixed structures” and therefore within the QBSA Act definition of the word “building”. A structure does not have to resemble in any way a building (in the traditional sense). The questions in whether the object has been constructed. The Stormwater Pit was not a “fixed structure” because it was simply an area of excavated land, into which rocks had been dumped, with nothing to suggest that the rocks were individually laid or positioned to give any ‘structural element’. 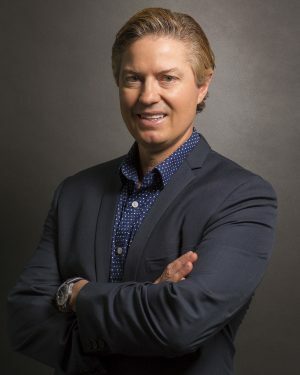 When considering the application of the exclusions in the QBSA Regulation, Henry J noted that it was relevant as to whether the work was carried out for public or private use, or was within the bounds of private property. whilst on the face of the QBSA Regulation it would appear that the Ag Pipe, Culvert, and the Road were excluded, such works were in fact held to be “building work” because they were carried out on private property (rather than public property). As a result, the exclusion in the QBSA Regulation did not apply and the plaintiff was required to hold a licence to lawfully carry out those works. the Stormwater Pit was not “building work” because section 5(zb) of the QBSA Regulation expressly excluded “work consisting of earthmoving and excavating” from being “building work”. The Stormwater Pit consisted of the excavation of a basin and earthmoving by way of the movement of rocks into the excavated surface. Henry J also considered it irrelevant that the plaintiff’s works may only have been simple constructions. no entitlement to pursue payment for unlicenced building work under the Building and Constructoin Industry Payments Act 2004 (Qld). The QBSA Regulation exclusion pertaining to a ‘road’ was amended following the decision in Ooralea to resolve the gray area around what was ‘public use’. Section 14 of scheudle 1AA of the QBCC Regulation now clarifies that ‘public use’ is where a road is ‘developed, or to be developed, for the public use of driving or riding of motor vehicles’. However, the amendments to the QBCC Regulation would not have assisted the plaintiff in this case. 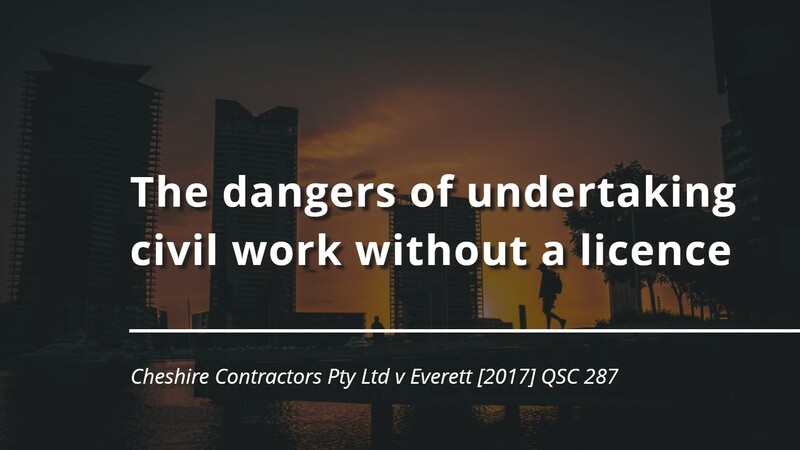 This decision serves as another caution to civil contractors that the exclusions under the QBCC Regulation do not offer a ‘one size fits all’ approach to whether or not civil works can constitute “building work” under the QBCC Act. Civil contractors should carefully consider whether the works are being undertaken on public or private property in determining whether or not a licence is required.